Portland, Oregon, is the county seat of Multnomah County, situated along the northern border of Oregon. The city is located where the Willamette River, which runs north from the Cascade and Oregon Coast Ranges, meets the Columbia River, which establishes most of the border between the states of Oregon and Washington. As of the 2010 Census, the population of Portland was 583,776, making it the 29th most populous city in the nation. The overall Portland metropolitan area is home to over two and a quarter million residents. The metro area includes the surrounding communities of Beaverton, Clackamas, and Tigard. 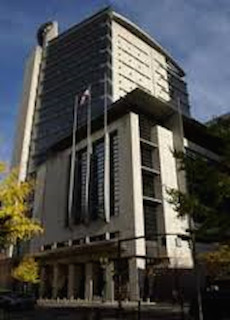 Multnomah County also has “problem solving courts,” which do not operate like traditional adversarial courts, to handle certain types of crimes such as DUIIs, certain drug cases, and some petty crimes. The purpose of such courts is to assist the accused in resolving drinking, drug, or other problems, so that they can change their lives rather than become repeat or habitual offenders or gravitate toward more serious crimes. 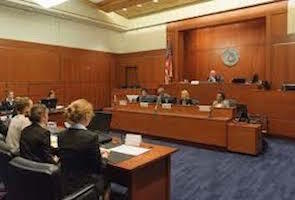 A DUI lawyer works with you to ensure success as you move forward in legal proceedings. Originally, Portland was home to several native American tribes that lived along the Columbia River. In 1843, a settler named William Overton, with Asa Lovejoy, filed a claim on the land where Portland now sits. Overton later sold his share to Francis Pettygrove. Both Lovejoy, from Boston, Massachussetts, and Pettygrove, from Portland, Maine, wanted to name the new city after their hometown. Francis Pettygrove won the dispute, by virtue of a coin toss, and Portland, Oregon, was incorporated as a city in 1851. Today, among other things, Portland is renowned for its rose gardens, which is why it is often referred to as the “City of Roses.” Portland is home to the NBA’s Trailblazers and has a self-conscious reputation for being environmentally “green,” owing to stringent land use controls, a significant investment in public transportation, and ordinances that promote environmental policies. However, despite its strict growth measures, Portland has experienced significant population expansion over the last 30 years, expanding nearly 63% since 1980. 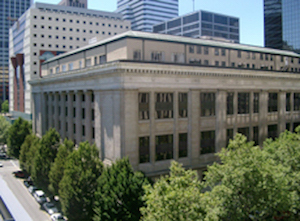 Although a changing business climate encouraged several industries to leave Portland over the last few decades, other businesses have been attracted by the low energy costs, high quality of living, abundant public services, and accessibility to major hubs of transportation, including the Portland International Airport and the Port of Portland, which remains tremendously active despite being 80 miles up the Columbia River from the Pacific Ocean. Businesses headquartered in Portland that are familiar to consumers include sporting goods manufacturers Hi-Tec Sports and Adidas; KEEN, Inc. (footwear); and Leatherman (utility tools). If you are facing charges for a DUI in Portland, Oregon, or elsewhere in Multnomah County, you need the services of a qualified, competent DUI attorney. If you have already been arrested, or even if you have only been questioned and believe that charges may be forthcoming, do not delay in obtaining the services of an experienced DUII attorney. No matter how much you may believe the charges are mistaken, exaggerated, or in error, or even if you believe that you have no options but to face conviction, it is essential that you get the advice and assistance of a DUI attorney who understands the ins and outs of the criminal justice system in Multnomah County. It is always a mistake to face a DUI charge without good legal advice from a DUII lawyer. Any conviction can have a significant impact on your future. Apart from costly fines, punishment may include jail time, community service, and other penalties. What is more, a conviction can have consequences that last far beyond the trial and punishment, such as a damaged reputation, barriers to employment, strained or destroyed personal and family relationships, financial hardships, and other problems. These types of consequences are too serious to leave to chance. By obtaining competent legal counsel right away, your DUII attorney may be able to help you shorten the length of your ordeal, and minimize the negative consequences. If you need help with a DUI matter in Portland—please call Reynolds Defense Firm at (503) 223-3422, or contact us using the online form on this website for your free initial consultation. Our team of DUI lawyers have over 30 years of experience working in the Portland Metro area and can help answer your questions and figure out what the best steps are for you and your family.